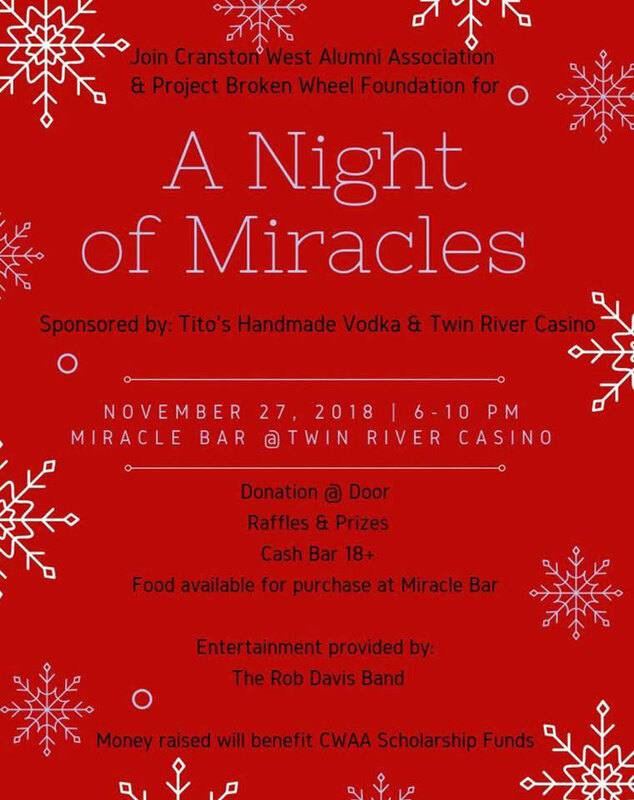 Join us on November 27, 2018 from 6 pm - 10 pm at the Miracle Bar at Twin River Casino. Donations can be made online or at the door. Entertainment will be provided by The Rob Davis Band and we will have raffles and prizes throughout the night. Cash bar and food available for purchase. Money Raised Will Benefit CWAA Scholarships. 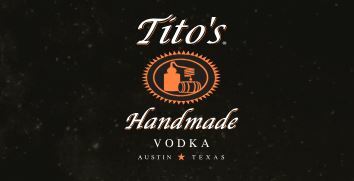 Thank You To Our Sponsors! 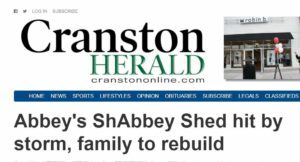 RIGHT THROUGH THE ROOF: The damage included the inside of the shed where all of Abbey’s wares had been on display for her customers. Family and friends helped to empty the shed. 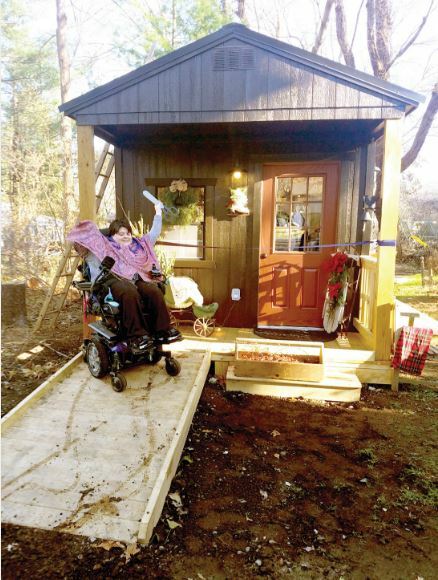 Less than six months after opening for business, Abbey Tilton has suffered a major setback at Abbey’s ShAbbey Designs, located at 1460 Phenix Avenue in Cranston. In November, surrounded by family, friends and loyal customers, Abbey proudly cut the ribbon on Abbey’s ShAbbey Shed, which would be the new home for her business of vintage home decor, all of which she had worked hard on, from locating and purchasing the goods to upcycling them with sandpaper, paint and other special touches, before adding them to her inventory. Abbey was also in charge of managing her business, from greeting the customers who came to the shop to budgeting her money for her purchases. Although that may sound easy for some, Abbey is a spastic quadriplegic who has the use of just one arm. Each and every item in her shop had her special touch and she had a perfect place to house and showcase all the work she’d done. The ShAbbey Shed shop itself had been a labor of love, built by Abbey’s grandfather and the president of her Board of Directors, Robert Ruggieri. 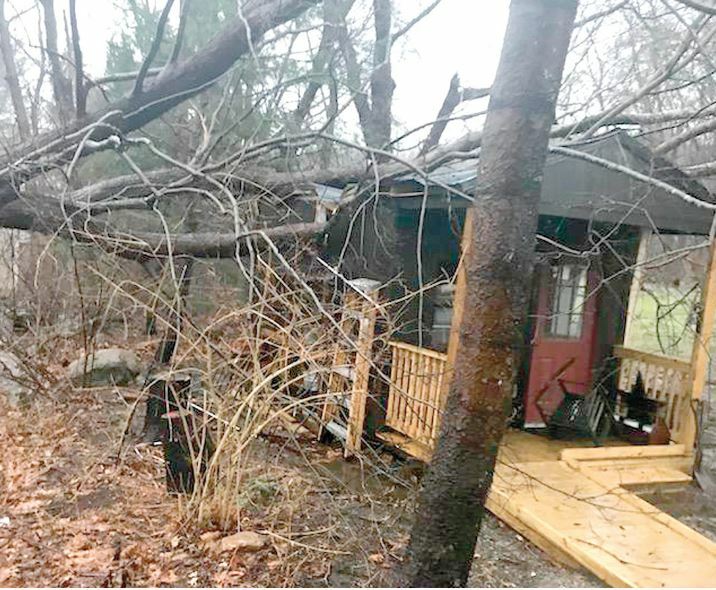 Last weekend, however, a storm consisting of brutal wind, rain and even snow ripped through the area, knocking out power and taking down a slew of trees in its path. 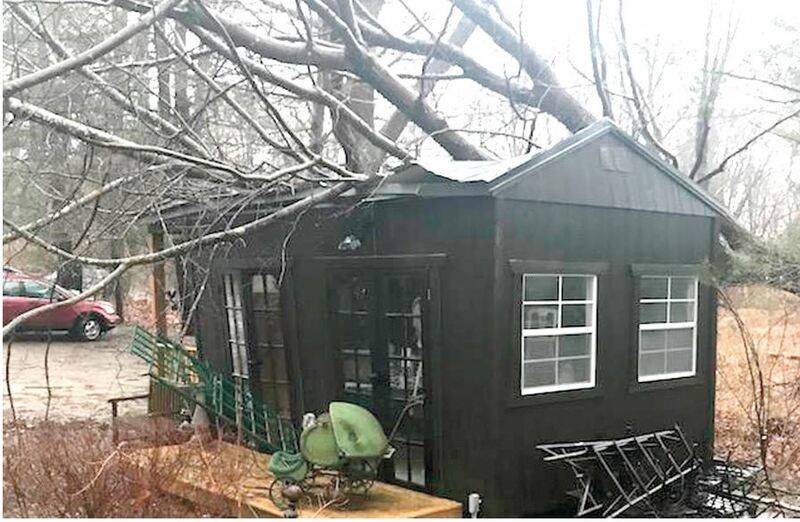 Sadly, Abbey’s ShAbbey Shed was completely destroyed, a tree crashing through the roof and into the interior of the shop. The noise and the damage brought Abbey and her family to tears. It is important to Abbey’s family, friends and customers that she be able to continue to work her business. 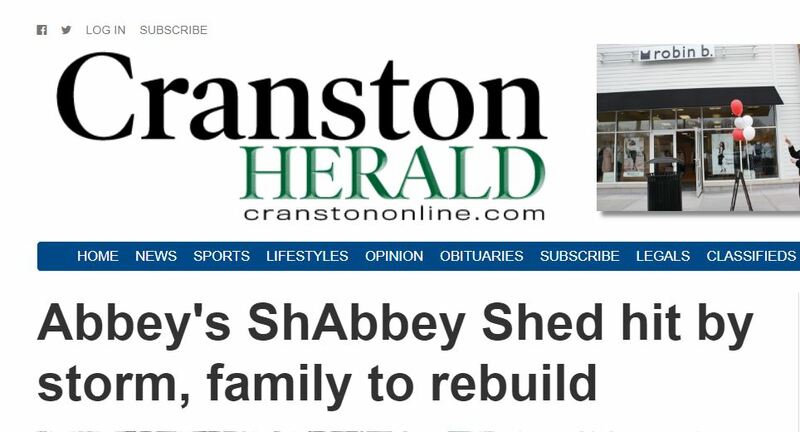 A friend of Sharon has started a Go Fund Me fundraiser online (www.gofundme.com/help-abbey-rebuild-her-shop), which immediately brought in more than $1,000 of the initial $5,000 goal. 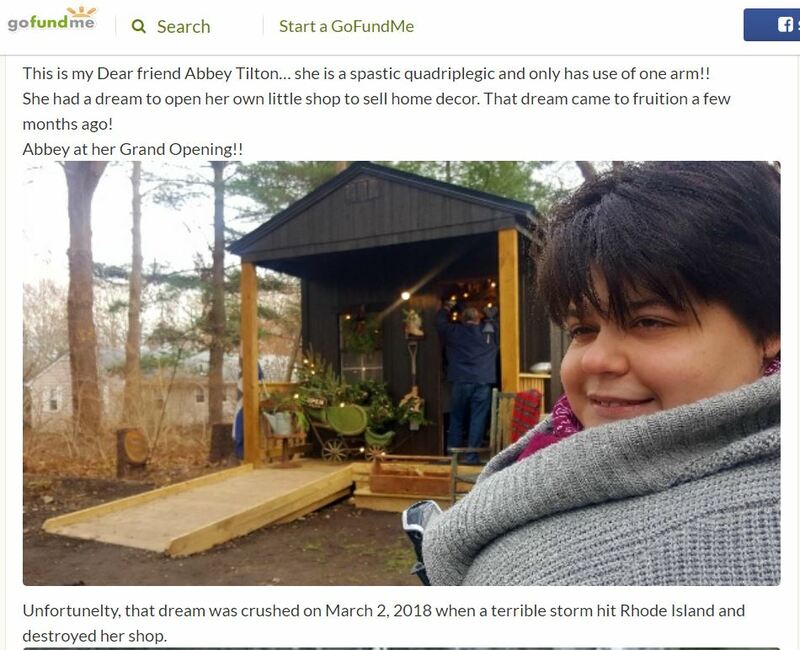 However, there is still a long way to go, and Abbey’s family and friends are working hard to make Abbey’s dreams of having her own place of business come true all over again. THAT SPECIAL TOUCH: Each item went home with Abbey’s Shabbey Designs signature wrapping and gift bags and a thank-you tag. On Saturday afternoon, a day which has been deemed Small Business Saturday, the lines were long at Abbey’s Shabbey Shed, located at 1460 Phenix Avenue in Cranston. 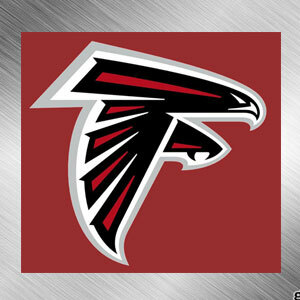 Falcons ROCK!! 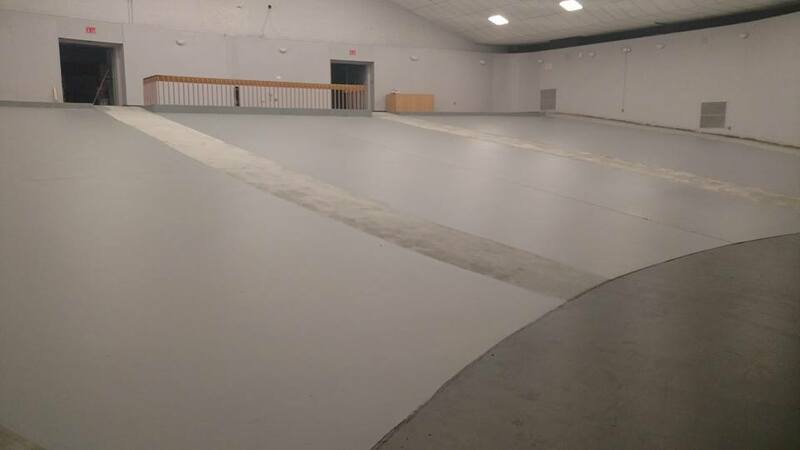 Check out the progress we've made!! 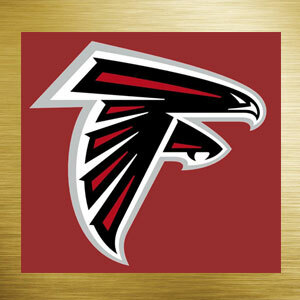 Alumni Auditorium Restoration Project - The Falcon Legacy Shines Bright! 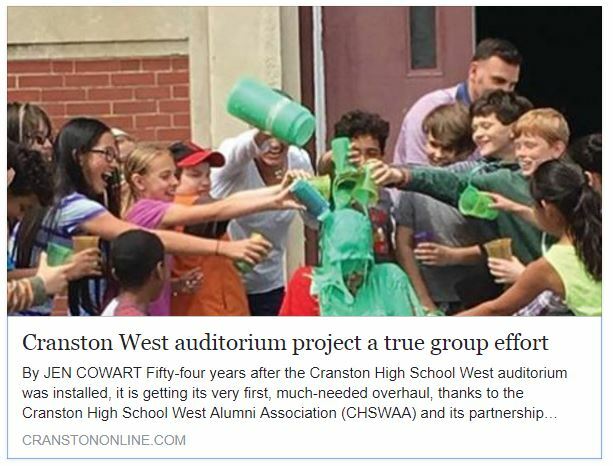 The newly formed Cranston West Alumni Association, Inc. is delighted to announce a fundraising campaign to renovate the Cranston High School West Auditorium. All of us who attended Cranston West sat in the auditorium many times for assemblies, concerts, and pep rallies. Some of us even remember singing, dancing, acting, or playing a musical instrument on stage. 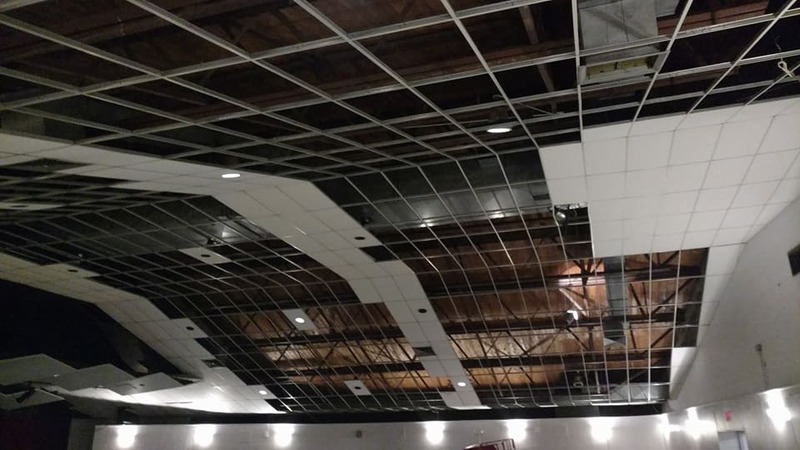 Now, as alumni, we can take pride in giving back and help restore the failing auditorium. 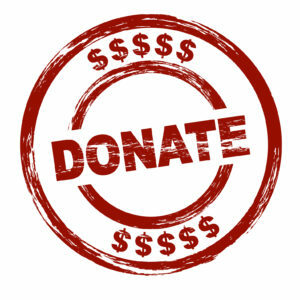 We, the CWAA, need to raise a total of $200,000 for the renovation of the auditorium. 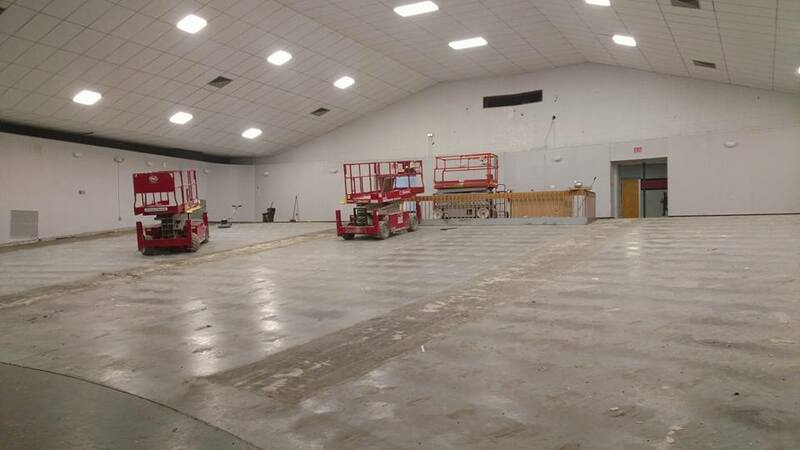 Along with seat sponsors, the CWAA is actively seeking corporate sponsors and grants to fund the renovation that will include new seats, carpet, and paint through‐out. The CWAA is offering you an opportunity to become a part of the high school’s history and to support current and future Cranston High School West students. Don’t be left out! Seats will be sold on a first come first served basis. 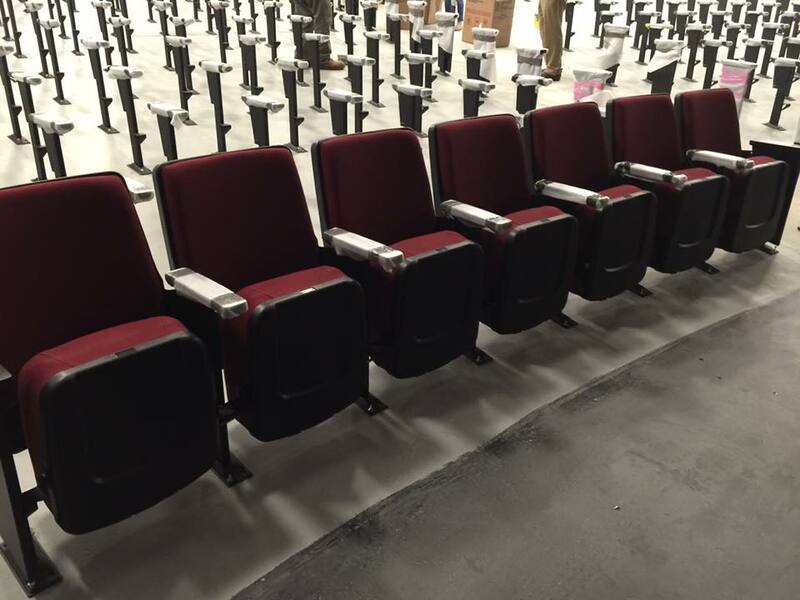 Each of the 673 seats in the soon to be renovated auditorium will have an attractive plate mounted on the seat. You are invited to sponsor a seat and have your message displayed on the back. You may want to honor or memorialize a friend or relative, celebrate a reunion, or feature your business. Sponsoring a seat is a thoughtful gift for a graduation senior, birthday, holiday, or anniversary. 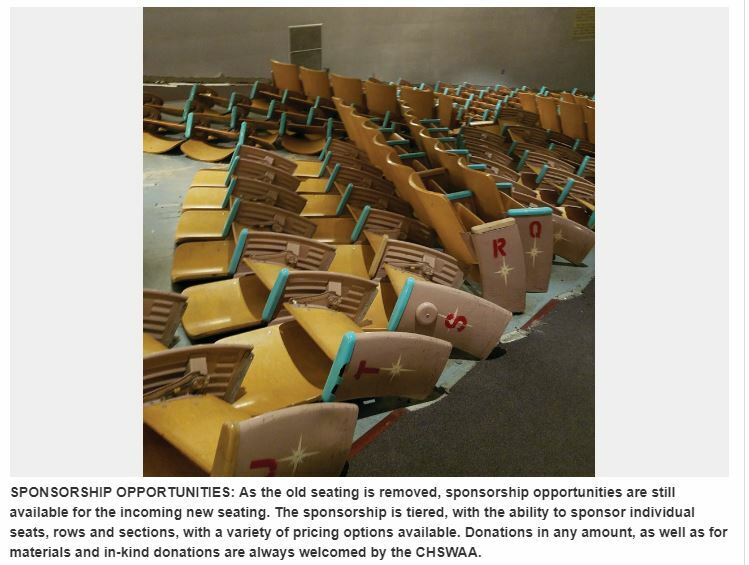 Please read the attached Sponsorship_Forms to learn how you can sponsor a seat in the soon to be renovated Cranston High School West Alumni Auditorium. If you have any questions please feel free to contact David C. DiMaio at (401) 588‐1313. The Back Right Handicap Seating Area. The Back Left Handicap Seating Area. The Back Center Video/Sound Board Area. Permanent signage in sponsored area. Permanent signage on all seats located the sponsored area. Web link located on the Cranston West Alumni Association web site. Email blast to all Cranston West Alumni Association Members. Banner recognition at dedication ceremony. Recognition in the dedication program book. Local grads seize diploma, first job in one week’s time! In the classroom one day, on the job site the next. 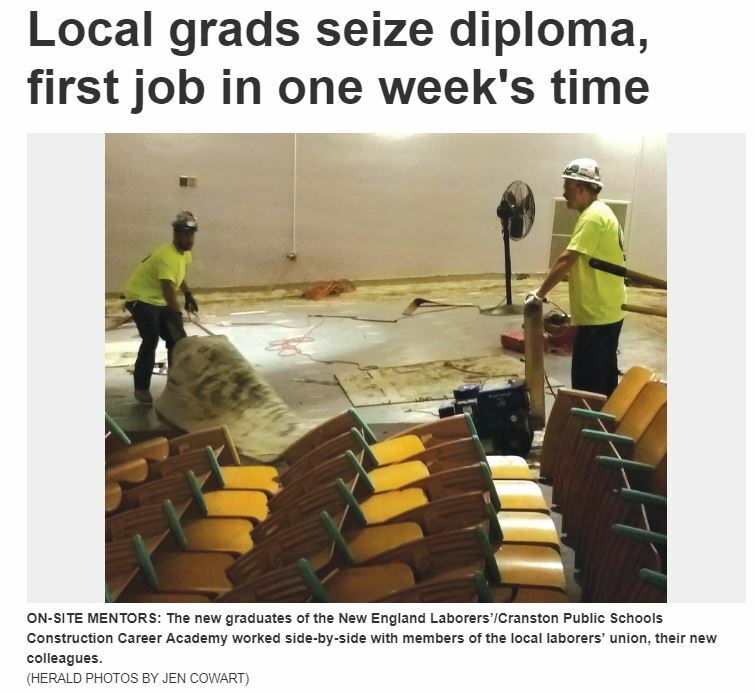 On the evening of June 16, the seniors at the New England Laborers’/Cranston Public Schools Construction Career Academy experienced a life milestone: graduation from high school. That evening 25 students took hold of their diploma and walked off into the next chapter of their lives. For some, that chapter will be a post-secondary program or serving their country. For others, that next chapter will be heading right into the workforce, and for some, that first job came sooner than later as they took part in a historic renovation project right in their own city. 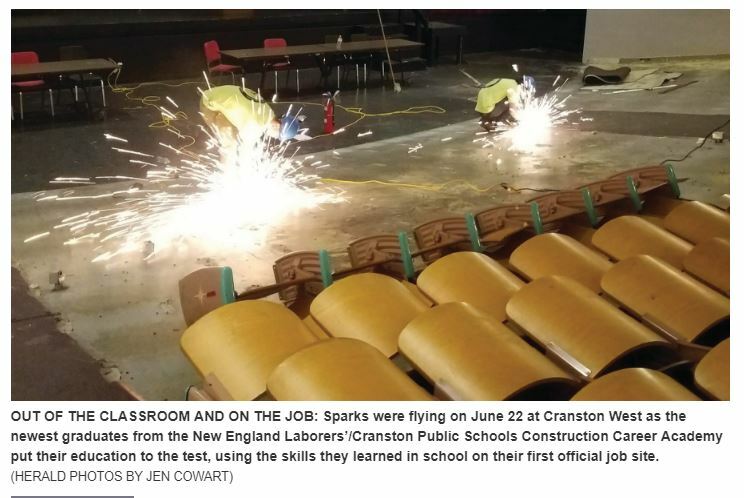 As the Cranston High School West auditorium undergoes its first renovation in its 54-year existence, the graduates from the NEL/CPS have found themselves jumping right into a job opportunity, less than one week from graduation. The project began bright and early on the morning of June 22, and the NEL/CPS grads were on hand to put four years of education and training to work. 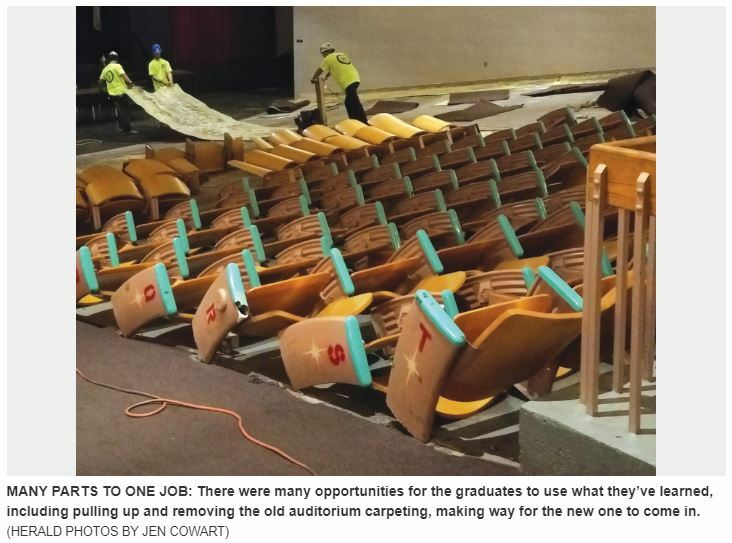 Hard helmets on, bright yellow shirts and reflective vests dotting the auditorium space, the grads and their co-workers from the Laborers Union worked side-by-side, ripping out row after row of seating and pulling up carpeting. 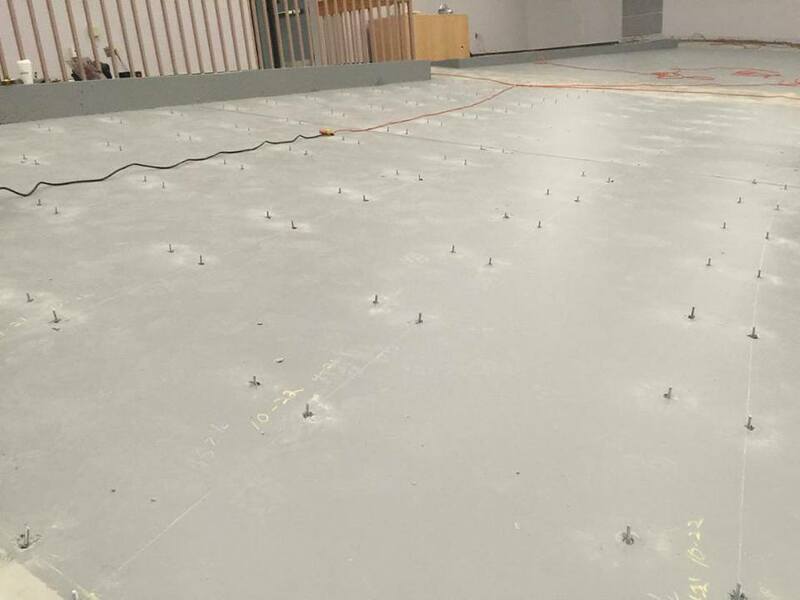 Sparks flew as tools, which had previously been used in the classroom lab setting, were now being used in the field. 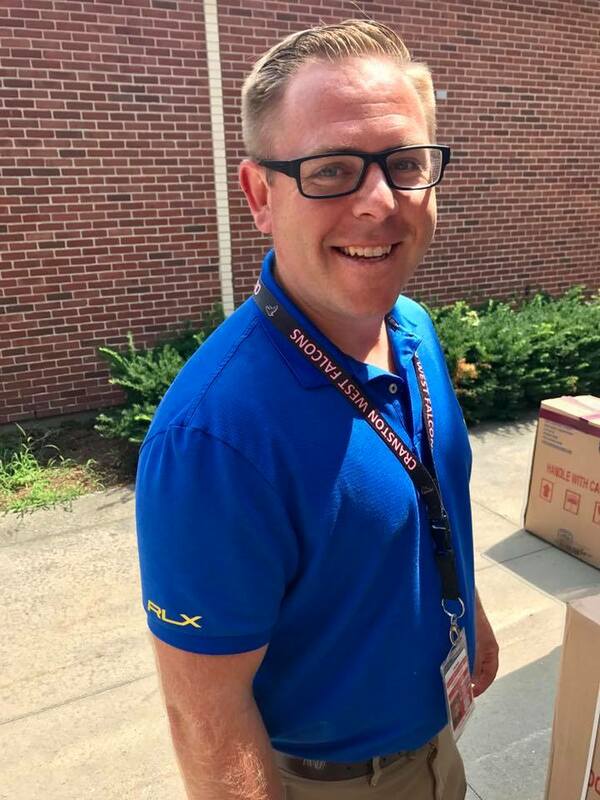 The significance of this opportunity is not lost on Adam Lupino, Regional Policy Coordinator for the Laborers’ Union, who sees it going far beyond the manual labor being done. 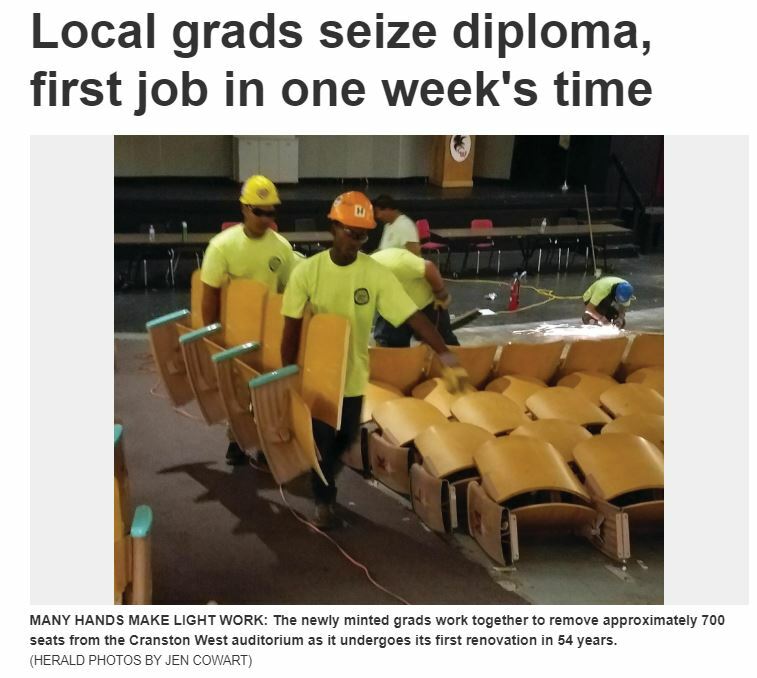 In fact, it was at the graduation ceremony that Chris Sabitoni, son of the school’s co-founder Armand Sabitoni, spoke of the many opportunities the students have had in their four years to give back to their community while learning the construction trade. This includes the work on the new front walkway at another Cranston public school, the Hugh B. Bain Middle School, and the upcoming job which would be taking place at Cranston West just one week later. In addition to the physical work being done, a collection of plastic bottle caps was being taken on the job site last week as waters were being consumed, each cap helping to defer the cost of a dialysis treatment for the child of someone connected to the project. According to Lupino, much of the instruction at the charter high school, which just hit its 15-year milestone, includes a focus is on building construction careers for the students. “The school is a pathway for construction careers for our students and we are very proud of that,” he said. “Apprenticeship is the other four-year degree, where you can earn while you learn. We build things; roads, bridges and structures, but most importantly we build lives. These students are the newest members of our apprenticeship program with opportunity to build their skills on the way to a family supporting construction career." 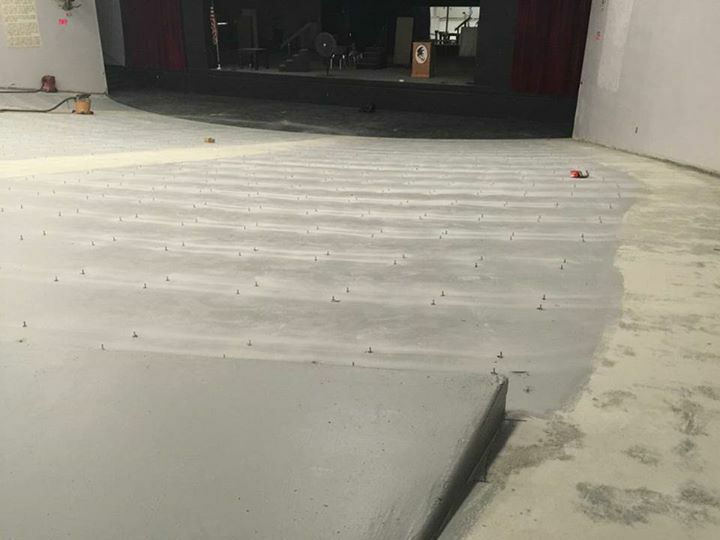 CW auditorium project a true group effort! 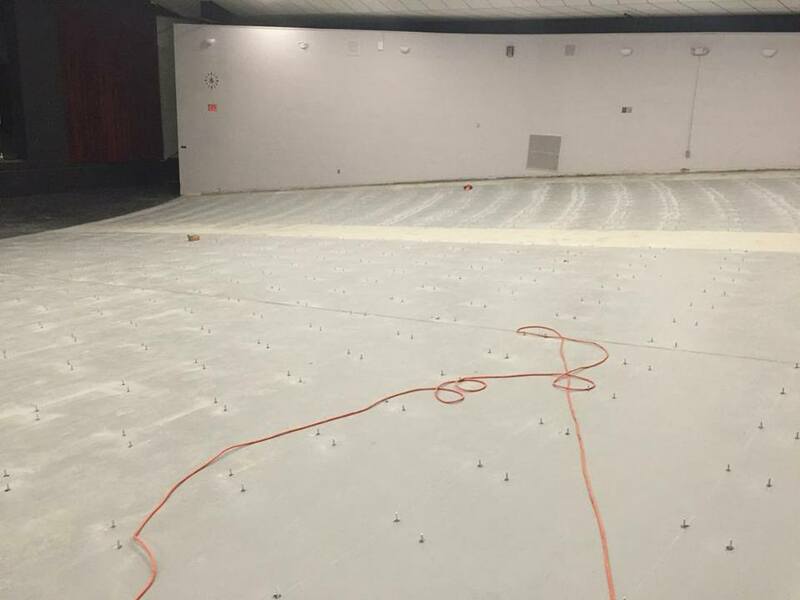 Cranston West auditorium project a true group effort! 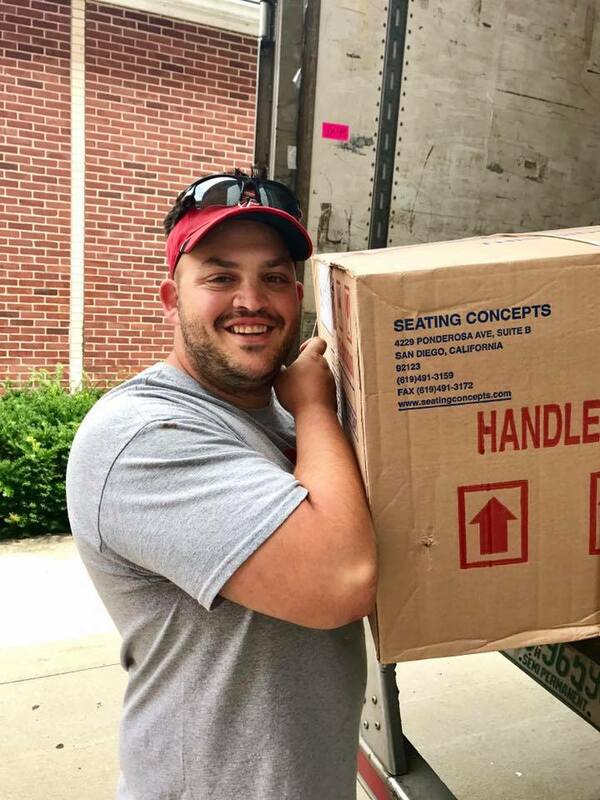 PROUD ALUMNI: David DiMaio, was just one of several alumni association members and project organizers on hand last week as the first seats were taken out of the auditorium, making way for new more comfortable seating to come in later this summer. Fifty-four years after the Cranston High School West auditorium was installed, it is getting its very first, much-needed overhaul, thanks to the Cranston High School West Alumni Association (CHSWAA) and its partnership with the Cranston Public Schools, the City of Cranston, the Local 271 Laborers’ Union and the New England Laborers’ Cranston Public Schools Construction Career Academy. 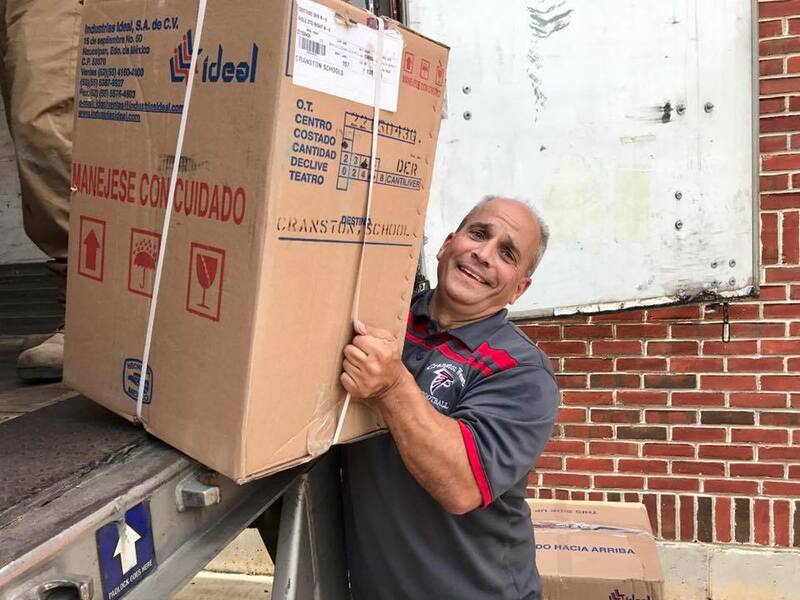 A project 18 years in the making, it finally came to fruition on the morning of Thursday, June 22, and according to CHSWAA president David DiMaio, although the project is important, it’s the partnership he values most. 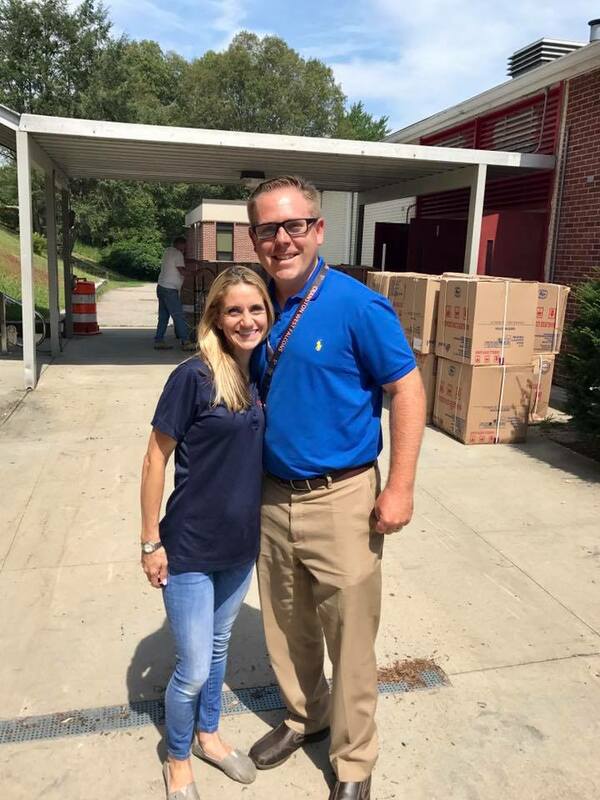 Fellow association members, alumni and Cranston High School West employees Karen Casale and John Fontaine agree, and were also on hand last Thursday morning, checking out the demolition of the auditorium seating space, sharing photos of the project now underway, and discussing the overall project goal. Said goal is a total overhaul of a space that seats over 700 guests and hosts dozens of community events throughout the year. 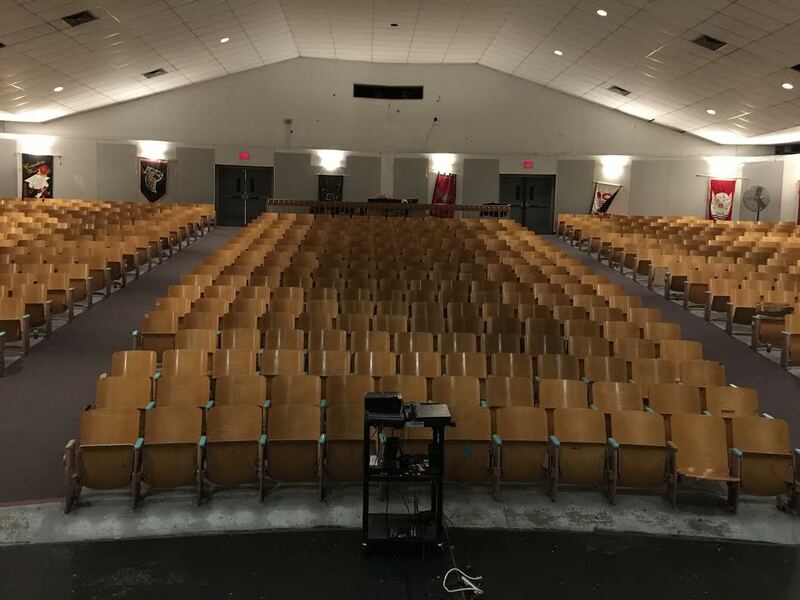 The Cranston West auditorium is not just used by Cranston West, but rather is utilized by schools and community groups across the city, thanks to its ability to accommodate large groups and events. The venue has also been used for regional events in the past, such as last spring’s Rhode Island Drama Festival and the New England Drama Festival several years before that. 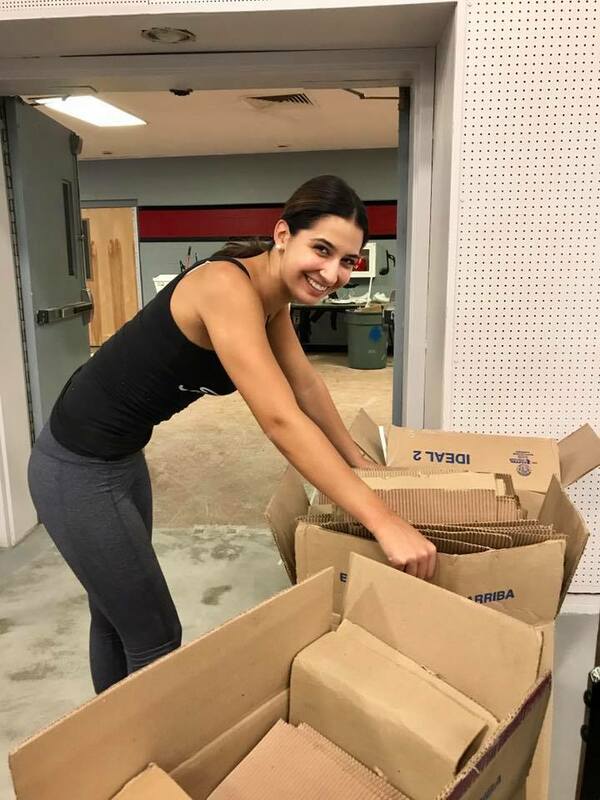 DiMaio and the alumni organization have seen local business owners and community groups coming together to host fundraisers, attend events and make donations, all supporting the auditorium project. 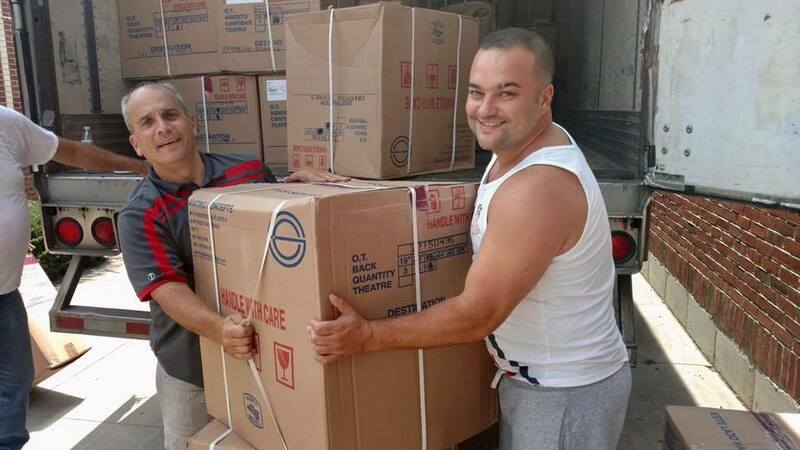 He hopes that this ongoing support, which has gained momentum over time, will continue. 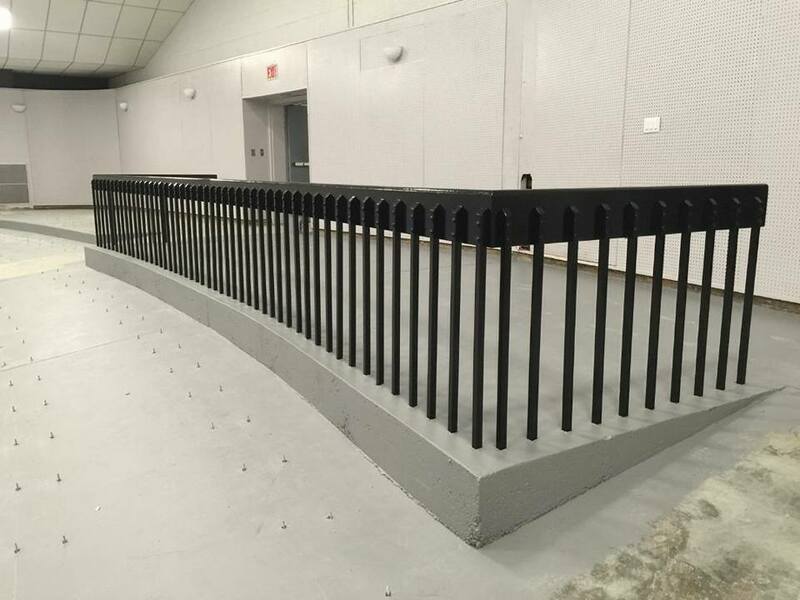 The CHSWAA launched their auditorium renovation fundraiser at the 2015 Thanksgiving football game 18 months ago and the project has gained momentum over time, with seat sponsorships selling quickly. 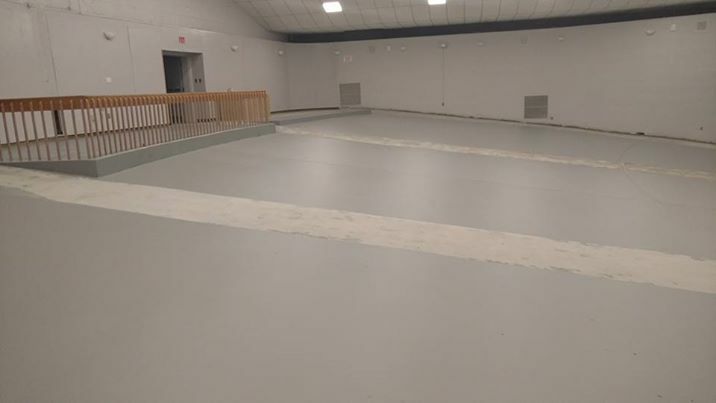 However, DiMaio said that despite the fact that the project is underway, there is still additional funding needed and there are still seat sponsorships available. 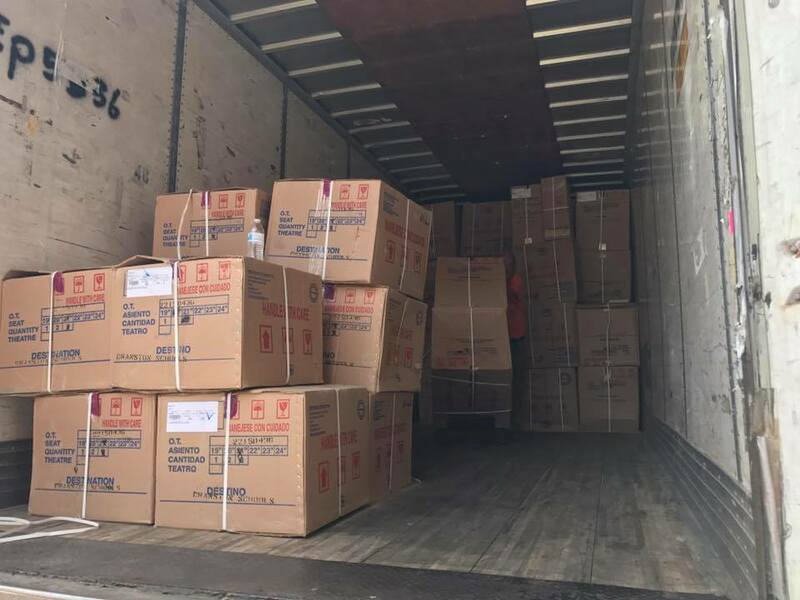 He notes that in addition to the need for additional monetary donations, in-kind donations are also a need for materials and services. He cited one such improvement goal, to air condition the space, as a future goal that is a need. A recent mid-June event held in the auditorium by a local community organization saw temperatures reaching nearly 100 degrees inside and backstage. However, each improvement is costly and DiMaio hopes more donations will continue to roll in. 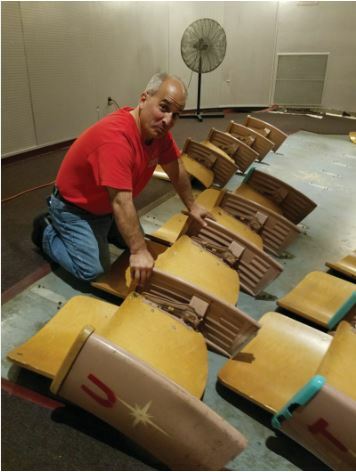 To sponsor a seat, make a monetary donation or an in-kind donation to the CHSWAA auditorium renovation project, contact David DiMaio at 588-1313, davidcdimaio@gmail.com or Karen Casale at kcasale@cpsed.net. 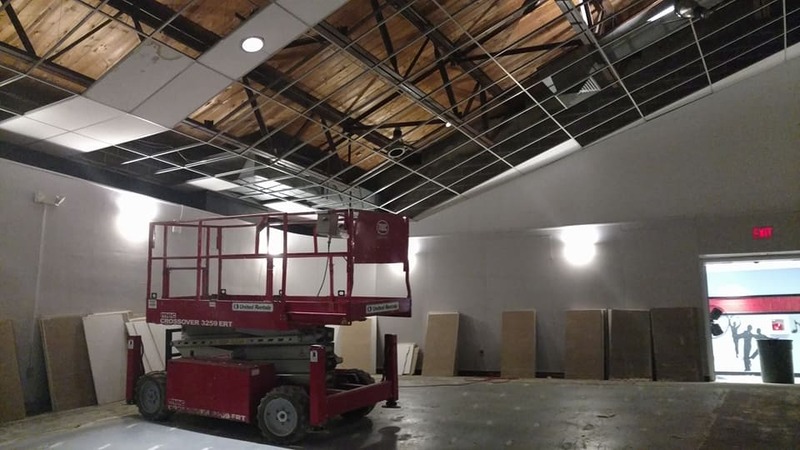 Visit the organization’s Facebook page to keep up with the progress of the renovations and to learn about upcoming events at www.facebook.com/cranstonwestalumniassociation/. 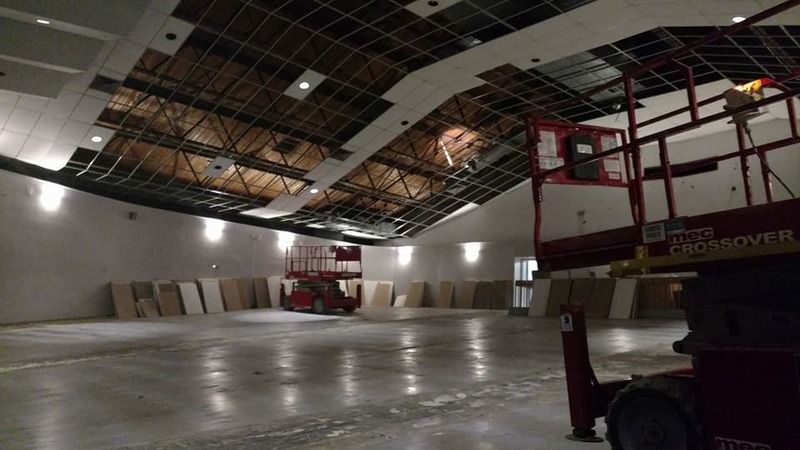 Editor’s note: This is the first of a two-part series on the renovations at Cranston West. Part II will appear in next week’s edition. 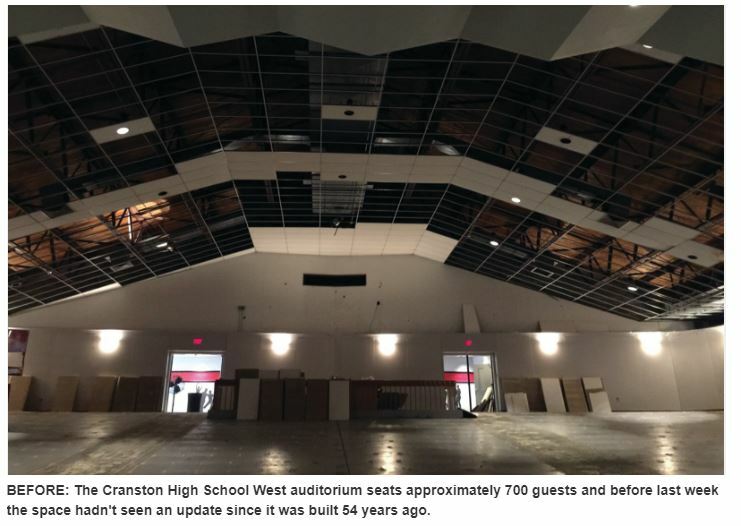 The Cranston City Council Finance Committee unanimously passed a resolution Monday night in support of renovations to the Cranston High School West auditorium, asking the administration to “supplement” the funds and efforts of the project. Cranston West Alumni Association President David DiMaio spoke to the committee about the money raised thus far totals upwards of $100,000. The goal is $200,000 and the project would get underway after graduation. City assistance could come through funds or extra workers to assist in the process. According to Finance Director Robert Strom, there is no money allocated in the budget specifically for this endeavor. 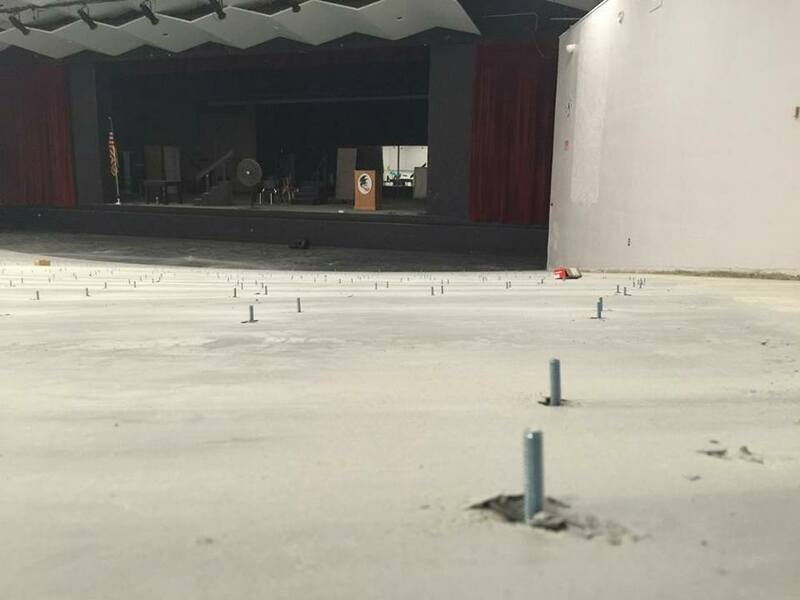 DiMaio said a schedule has been established for work on what will be dubbed Cranston West Alumni Auditorium. It has been approved at several levels, and the remaining steps are to raise more funds and get the renovations completed. He mentioned the renovations might be necessary anyway with any potential accreditation visits in the future. 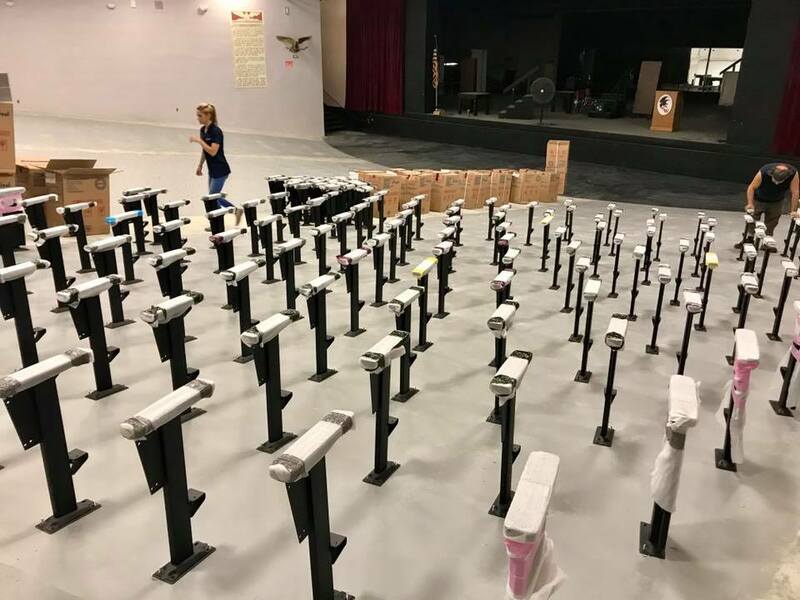 The initial $100,000 was raised in a variety of ways, including individual and corporate sponsorships of the 673 chairs that will be featured in the new auditorium. Sponsors could contribute at bronze, silver, gold or platinum levels, ranging from $200 to $5,000. Gold-level sponsors will have a personal message engraved on a plaque on the back of a front-row seat, of which there are only 26 available. Silver would receive the same treatment in rows two through four, while bronze would take up the remaining seats. 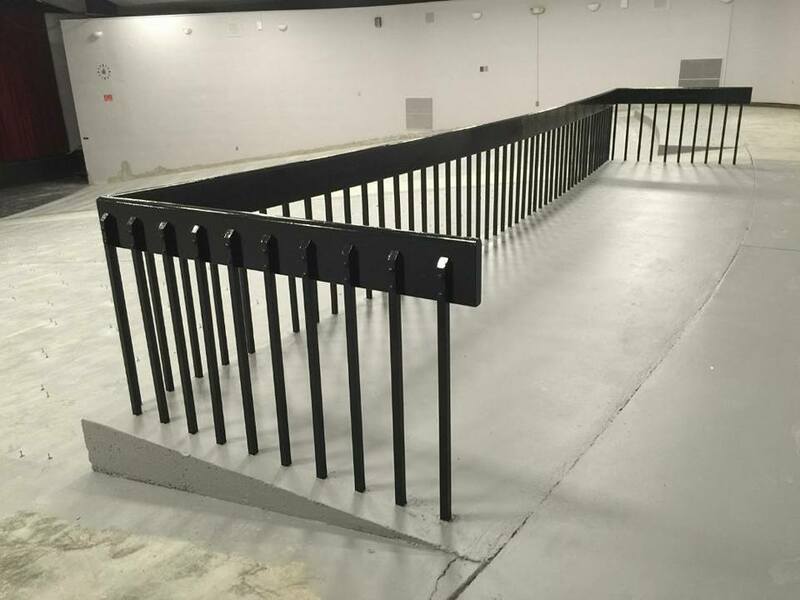 Platinum-level would receive, among other amenities, recognition at the dedication event and sponsorships of either the back right or back left handicap seating area or the back center video/sound board. DiMaio said that lettering the aisles and numbering the seats would make the auditorium easier to rent out, which could generate money for the city. DiMaio added that the minimum goal is $150,000, but the extra $50,000 would come in handy should seats break or emergencies occur down the line. Citywide councilman Ken Hopkins, who has put three kids through West, also voiced his support. The backing crossed party lines as citywide councilman John Lanni Jr., who doesn’t serve on the committee, encouraged passage as well. While the measure passed unanimously, there was some concern from Ward 1 Councilman Steven Stycos and Ward 3 Councilman Paul Archetto. While both liked the intent of the resolution, and even offered support of it, both saw more pressing matters within the district. 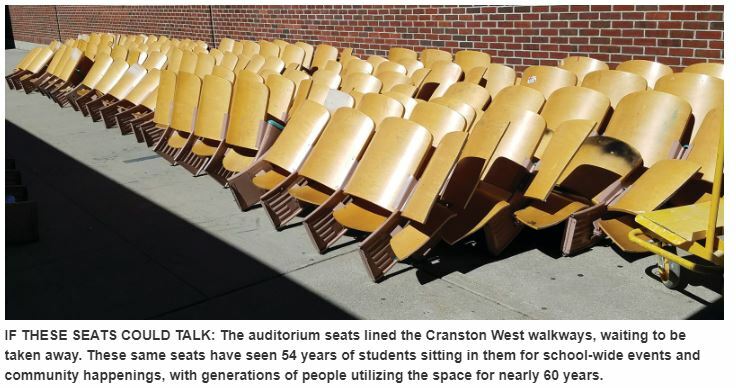 “It’s a feel-good resolution, but the school department is $800,000 in the hole, so I really can’t see where the money’s going to come from for the Cranston West auditorium,” Archetto said. Stycos had similar concerns to Archetto, though it is worth noting neither are on the finance committee. Ward 2 Councilman Paul McAuley is the only Democrat who voted on the resolution. Once discussion closed, the Cranston West graduates on the committee were informed they did not have conflicts of interest and the vote was taken. Anyone interested in donating can visit www.cranstonwestalumniassociation.org for more details. All students who are planning on attending college and/or a trade school are eligible for the newly formed Cranston West Alumni Scholarship. Two scholarships will be awarded – one female and one male. Each will be in the amount of $500. Essay Requirement for scholarship: Describe how your community service project has taught you an important life-lesson that you may not have learned in the classroom. Maximum: 250 words. Service is something you have done because you wanted to help, not something you had to do as a requirement. For example, you may have volunteered at a homeless shelter, organized a clothing drive for the poor, helped out at a soup kitchen, organized a special event for students, etc. Completed applications are due on Thursday April 13th, 2017. You can submit completed application with Mrs. Karen Casale in room C1-2 (Cafe) or to Mr. Schiappa, Assistant Principal by 4pm on 4.13.17 to be sure they have been recieved. Any late or incomplete application will be ineligible for the scholarship. Click here to learn more about how you can sponsor a seat and leave a legacy! 2019 © Domain and hosting services provided by Odds 'N Ends Marketing. Design by WP Websites.